Error! 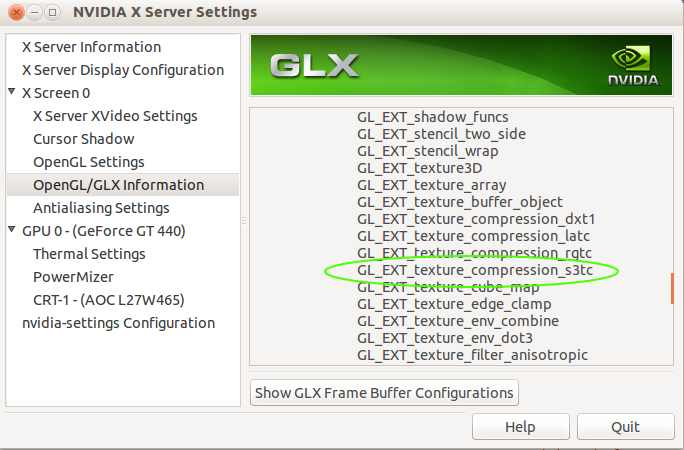 Required OpenGL extension "GL_EXT_texture_compression_s3tc" is not supported. Please install S3TC texture support. Running on VirtualBox,Ubuntu 12.04.1, Intel 3550, Asus P8Z77 V LX and Radeon HD 7750. 12MB of video memory dedicated to Ubuntu on VirtualBox. After this, reboot the computer and you should be finished installing with the Ati Driver. I put this one here first since it is the one that is more compatible with Ubuntu, is updated, less bugs and easy to install. Go to step 4 if you did this. If you had an Nvidia card, it would also be easier to do just by reading How do I install the Nvidia drivers? Download the latest drivers from the Ati/Amd site and follow this guide: What is the correct way to install proprietary ATI Catalyst Video Drivers (fglrx) directly from AMD? For other "older" type of Ati cards go here: How do I install Gallium3d Drivers in Ubuntu 12.10? Run sudo amdcccle in the terminal. If the Catalyst Control Center appears you are good to go. Type Catalyst in Dash and see if it appears there. Type fglrxinfo and see if it shows information about your video card. If you get "Command not found" or something similar, the drivers are not installed yet. 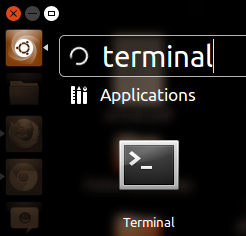 VIRTUALBOX - All of the above is for cases where you were running Steam in Ubuntu on the host, not on the Guest. Since you have just limited Ubuntu to what Virtualbox can offer, I will point you to this link Sharing between Host and Guest in Virtualbox which should cover the installation of the Guest Addition for Ubuntu. After you have done both, installing the driver and installing the Guest Addition, if the problem is still there, this basically means that Virtualbox is not letting the driver (Inside Virtualbox) read directly the mentioned GLX extension. So the problem would go from an Ubuntu problem to a Virtualbox one where you should go to the Virtualbox site and explain to them the problem. Let me know if you solve the problem with this little tips. If not I can go deeper with more information. Just trying to make it as simple as possible. Not the answer you're looking for? Browse other questions tagged 12.04 graphics games opengl steam or ask your own question. 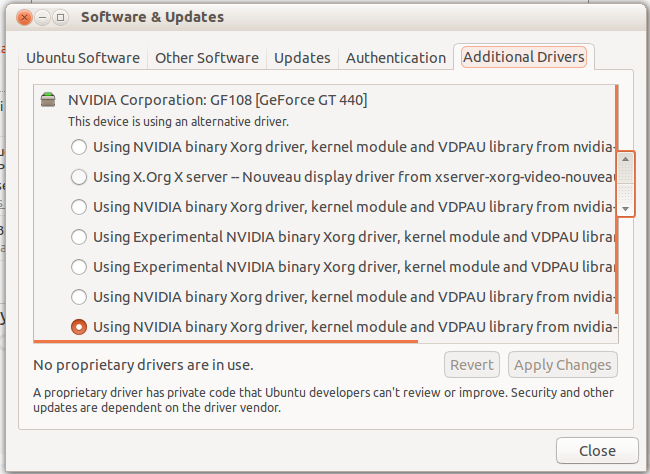 How do I install Gallium3d Drivers in Ubuntu 12.10? How do I install S3TC?